Listening to InAshton’s debut album “InAshton: RED” has been a delightful experience. When you find a free music album that sounds too good to be legally free, it means you got really lucky! And now all FrostWire users are even luckier than the rest of the public. For a limited time you will be able to download two extra free tracks from InAshton’s website – just download the album from FrostWire or FrostClick and listen for a special code included in the intro. 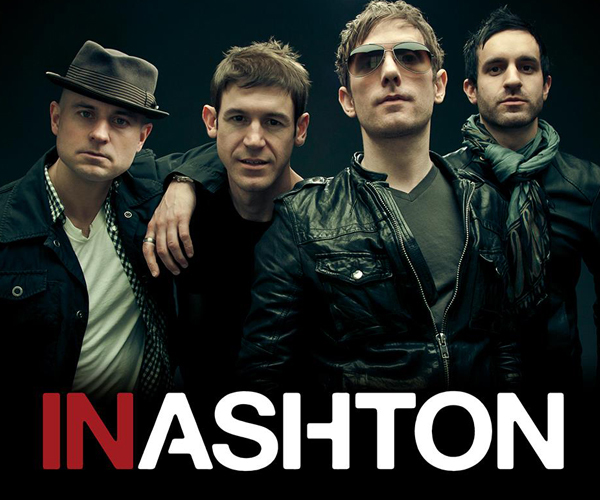 The NYC-based rock group InAshton brings together the kind of music major record labels would love to sell. This group is undeniably hip, current, and quite emotionally attuned to their listeners. InAshton is lucky to have singer/songwriter Morgan Clamp who expertly weaves words that are very easy to relate to, wherever you are in the emotional roller-coaster of life. Clamp says, “Whether good or bad, certain or confused, confident or insecure, it‘s always easier to be honest about yourself when the truth is wrapped up in a catchy melody!” He is most certainly right on the money! Mr. Williams plays bass, Tony Calabro guitar and The Diehl hits the drums. My personal favorites are “It’s OK… It’s OK,” “Forget Your Head,” and “I Just Can’t Let Go” for each song’s sharp and meaningful lyrics that is brilliantly carried by a perfect melody that goes right through your ears and dances in your mind while digging through your pile of longheld thoughts about the past, the present, and the future you want to have. InAshton’s music will move you, or at the very least, it will make your head bob while you’re singing along. dude! that singer has a big nose! And what about the album cover, are they stating their music is right out the trash? Jokes aside, I thought I was listening to Jane's Addiction after a while! yea, great album – it will stay in my mp3 player for a while! ha, you should see the emails I get asking tech support, this looks like plain english compared to the stuff I receive. I believe a toilet was talking to me just now.